With their Workmans Club exploits done and dusted (until December’s annual quiz, that is), the fearless foursome are back in NO ENCORE Towers for another jaunt through planet music. There’s UFOs, killer dolls and even an interview with Stephen bloody Malkmus, so let’s dive right in, eh? ACT TWO: Six years after his last full-length effort, Matthew Dear returns with Bunny. Will our hosts be hopping on the bandwagon, or is the producer living on burrowed time? 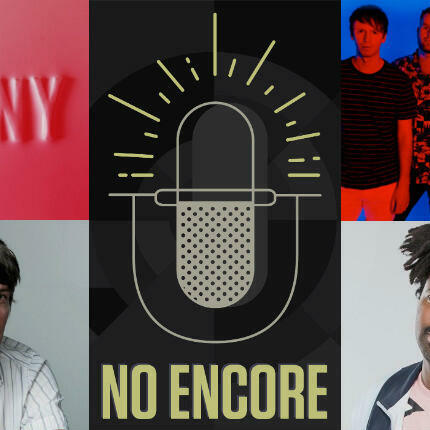 ACT THREE: An eclectic grab-bag provides for an exciting Songs of the Week; The Prodigy and Ho99o9 bring the fire, Dermot Kennedy the power, RTJ spit venom, Friendly Fires are heaven-bound and Sampha is, quite simply, a beautiful boy. ACT FOUR: Craig wags chins with all-round nice guy Stephen Malkmus, discussing Drake, social media, and – hilariously – not mentioning Pavement once.